My parents are a few weeks into a seven-week RV trip across the country. Talking with them before they left, it was clear that my dad was more excited about this excursion than my mom. Though there were several reasons for my moms reluctance, with varying levels of legitimacy, one concern she shared before departing was driving (or more accurately, being driven) through mountains in a 33′ recreational vehicle. 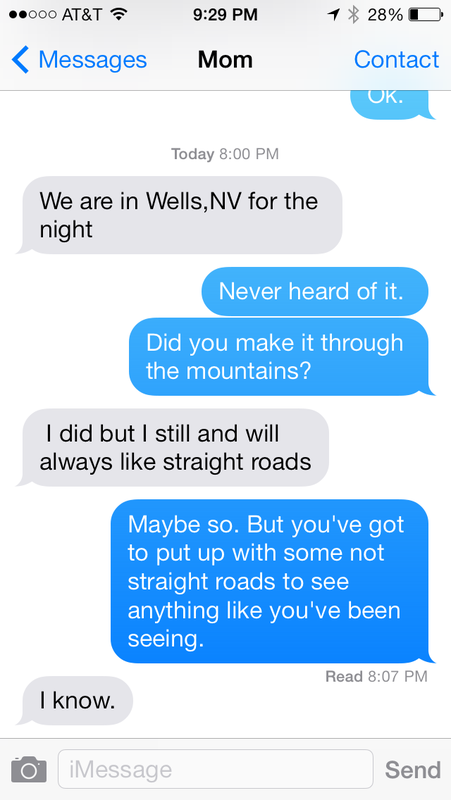 This was our brief text exchange after they made it over the continental divide on their way through Wyoming. This got me thinking: on some level, aren’t we all a little nervous about the curves that life throws us? Sure, it’s much easier to stay on the known, familiar, straight routes that we’ve constructed. But how often does that result in any measurable growth? Adventure? Or even fulfillment? In the case of my parents, the straight, FLAT Florida roads of familiarity certainly don’t lead to beautiful vistas of mountains and lakes they’re getting to enjoy. Admittedly, not all of life’s curves or changes to plans are enjoyable or sought out. I’m guessing that few people initially see a cancer diagnosis as their next great adventure. 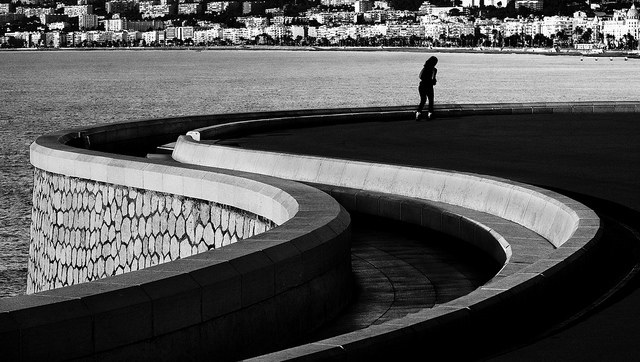 Rarely do we relish the curves and detours, and I’m certainly not implying that we should in those moments. But if we have the luxury of looking back, of seeing where the road has taken us, may we always be people who see and learn and grow from those experiences. On a spiritual level, the curves are where our faith is tested and, hopefully, strengthened, though that process is rarely a bucket-o-fun while you’re navigating it. Jonah was swallowed by a whale when he wouldn’t first go where God told him. Zacchaeus had an unannounced dinner guest. And the disciples were happily enjoying their lives as fishermen before Christ met them. In each of these cases, I have to think that the outcome after the shift in plans was better than what it would have been otherwise. But that path wasn’t always easy. As I’m working through my own “curve in the road” ahead, I’m wondering what lies on the other side of it. What adventure awaits? What growth will come of this? I didn’t see this one coming a year ago, but now that I know it’s here, I’m bracing myself for the good–and the bad–that may await. I may not be one to seek out curves in the course all the time, but I want to be a person willing to take them when they come. What about you? How do you handle them? Are you a thrill seeker willing to make your own curves and plow ahead? Or somewhere on the other extreme, avoiding the curves at all costs? Stay safe, friends, but take the curves when you can. This entry was posted in Growth and tagged experience, faith, God, home, nature. Bookmark the permalink.